Recently, I grabbed breakfast with someone I had never met before. Mediated by a mutual friend (and all-time great human), the three of us exchanged pleasantries before the conversation turned toward the simple task of figuring out my murky post-graduation future. To be honest, I was caught off guard. As a college senior home for winter break, I was more than well-practiced in talking about my future plans (or lack thereof), and this was not how this conversation was supposed to go. I had been asked a million times what I was passionate about or what motivated me or what I would do if I could choose any job. I had go-to answers for these similar questions, but this new phrasing and directness dug at something deep inside of me. Following a brief holy four-letter word moment, the realization that I had no real clue about my “why” slammed me in the face. Because I think I’d like to work in youth ministry (possibly), I stumbled through some answer that included God (hopefully), students (probably), and lots of “likes,” “ums,” and “uhs.” Turns out I’m like, really passionate about filler words. Though my answer in the moment was certainly not well-thought out, the question has rattled around my head ever since. Not just the bluntness with which it was delivered, but because it is one of the most important questions we have to answer during our lifetime, and I was almost at a complete loss. Perhaps figuring out our “why” applies most obviously to high school or college seniors trying to discern which plank to walk, but the question reveals our conscious and subconscious motivations in any and every phase of life. It applies to the under and overachieving students alike, to the serial dater and the eternally single, and to the workaholic and mother of four. Our “why” informs our thoughts on every life decision and can keep us grounded in our school, work, and family life. Over the past few weeks, as I’ve wrestled with this question and what it means in my own life, God has revealed a few important truths applicable to everyone. The best news available to a questioning, direction-seeking student is that first and foremost, God is our why. It’s the seemingly obvious church answer, but it’s the capital-t Truth. We were created both by God and for God. Our identity is not in what we do on this earth, but rather what God accomplished on the cross through Jesus, adopting us as eternally accepted sons and daughters. When our identity is rooted in Christ—not grades, sports, careers, relationships, or success—we find our true “why” in God. We each have a “holy calling, not because of our works but because of His own purpose and grace, which He gave us in Christ Jesus before the ages began” (2 Tim. 1:9). The Westminster Catechism tells us that the chief end of man is to glorify God and enjoy Him forever, and that’s good enough for me. For all of humanity, God is our ultimate “why.” In the face of uncertain college decisions, relationship choices, or career paths, God is our unchanging source of identity, purpose, hope, and motivation. 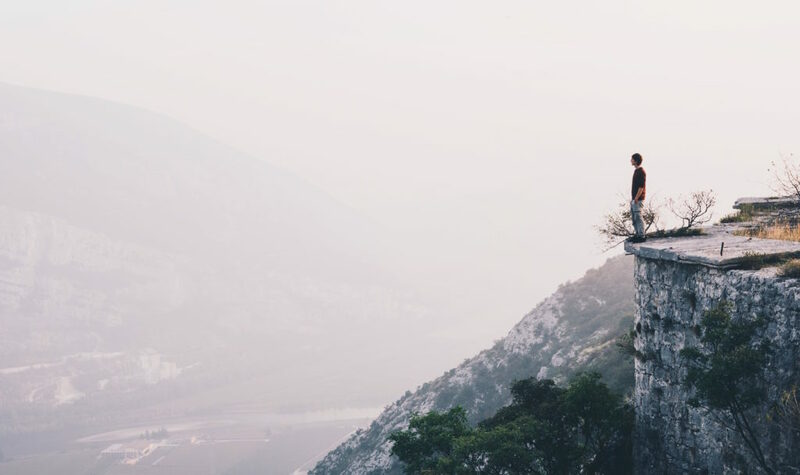 For Christians or anyone searching for their “why,” glorifying and enjoying God is a good foundation—a solid rock—to start with. At the same time, we all have an individual calling stamped on our lives, and this is often the part we struggle with and worry about the most. Just as God is the foundation for our universal “why,” He is also the author of our personal “why,” and He has uniquely called each of us to work here on earth. Colossians 3 tells us, “whatever you do, in word or deed, do everything in the name of the Lord Jesus, giving thanks to God the Father through Him…whatever you do, do it heartily, as for the Lord and not for men” (v.17, 23). God created each of us with unique talents, passions, and opportunities—He gave each of us a “why” informing our “whatever you do.” Whether it’s a heart for spreading the Gospel to unreached corners of the earth, a desire to father the orphaned, a passion to care for people with mental illnesses, or something completely different, God gave each of us innate and unique motivations. All the same, hearing or understanding God’s purpose for our lives is difficult. Sin often clouds our judgement and can corrupt our “why.” If we’re not careful, we can stamp our “how” on God’s “why” and try to be the lord of our own life. Further, while we must constantly consider whether our decisions mirror God’s “why” or our own selfish desires, we should also remember that discerning and following God’s “why” will not free us from underlying sinful desires. Rather than an indication of the wrong path, sin reminds us of our need to repent and move forward in God’s grace. This is where prayer, Scripture, and wise counsel are irreplaceable. There is no substitute for asking God to reveal His “why” for your life. Similarly, testing our reflections against Scripture—“a lamp to my feet and a light to my path”—reveals if our intentions are truly self-or- God-serving (Ps. 119:105). (Of course, while I am partial to the inevitable “I love Oreos, so God must want me to eat chocolate all day” argument, apparently that’s “not Biblical.” Jury’s still out). Especially for teenagers, it can be difficult to see the talents, gifts, and passions God has placed in our own lives, but God so often uses respected friends, mentors, and yes, youth pastors, to illuminate His imprint on our lives. Asking for help should be encouraged! Even Solomon, in all his wisdom, constantly reminded his sons about the merits of seeking wise counsel (Prov. 11:14; 12:15; 19:20). 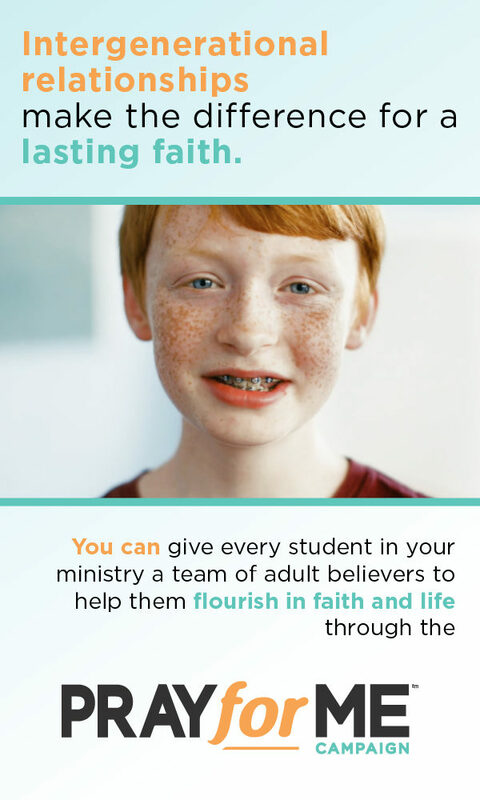 As a youth pastor, you have the incredible opportunity to watch students grow and mature, and part of your job is to point students toward the strengths and weaknesses that God has given them. As non-parents, you are often the wise counsel they will seek (and are most likely to listen to), so stay frosty. Honestly asking your students (and yourself) “what is your ‘why’?” is challenging, but it sparks introspection that strips us down to our most basic selves, revealing our character and who God designed us to be. It’s more than asking what you want to do next or what gets you out of bed in the morning. Whether we realize it or not, we all have a God-written “why” on our heart behind every action and decision, and unless we take time to consider what really drives us, we’ll have a hard time discerning God’s call regardless of our stage of life. The beautiful thing about asking both ourselves and others “what’s your ‘why’?” is that every person’s answer is and should be unique. Not only does God write our “why” on our hearts before the beginning of time, but each of our “whys” fits perfectly into God’s greater plan. There may be overlap and even friction caused by sin, but together our “whys” fit perfectly in God’s Kingdom. Whether we’re students, looking for a new job, or in the same job we’ve had for years, taking time to reexamine our “why” is vital. As we grow in the Spirit and move into different seasons of life, we may find God unlocking a new “why” within us, all while our ultimate “why” rests in Him alone. Challenge your students. Challenge yourself. Mac Harris is a senior at Davidson College, where he studies history and religious studies. He grew up in Birmingham, Alabama with two younger brothers, and he worked as a youth intern at Cathedral Church of the Advent this past summer. 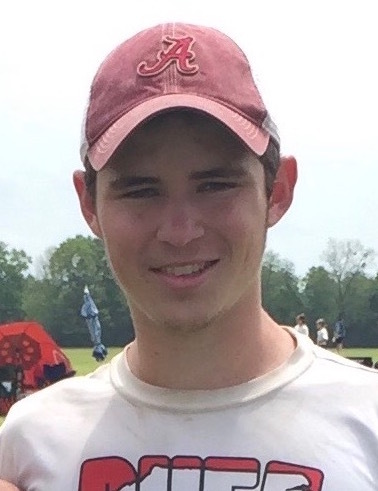 An avid Alabama football fan, Mac also enjoys fly fishing, ultimate frisbee, and Bojangles’ fried chicken.